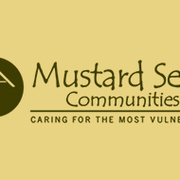 Mustard Seed is a charitable organisation which provides care homes for vulnerable members of society, children and adults living with disability, children with HIV/Aids and young mothers in crisis. I have the opportunity to take part in the Children For Children Overseas Volunteering Program to Jamaica and I’m raising funds for this project. I would be grateful if you could support me in this worthy cause, any donation would be much appreciated. Thanks Andrea.